With Treville we have just released the newest design in our growing collection of Magazine WordPress Themes. 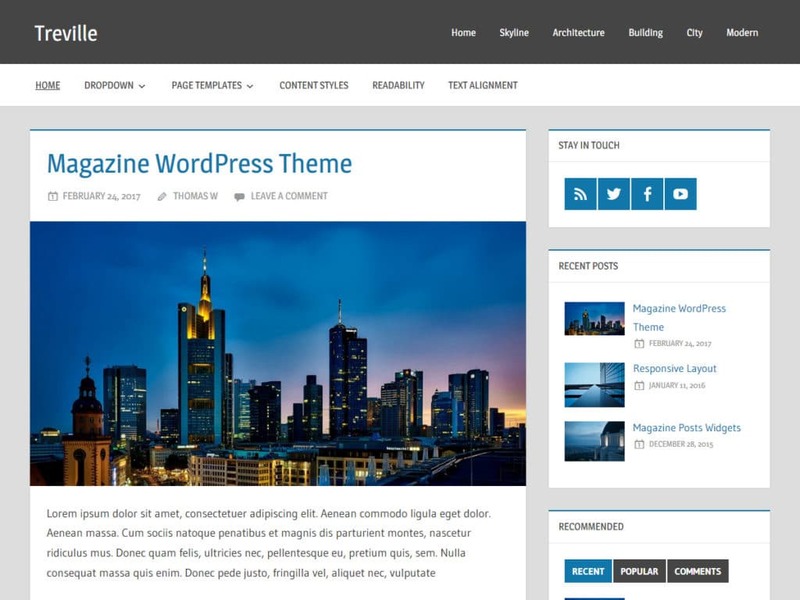 At the moment you can only download the theme on our website, but it will be available in the WordPress theme directory soon, once it passed the theme review process of WordPress.org. Treville is an elegant Blogging & Magazine WordPress Theme with subtle colors and great typography. It supports two navigation menus, advanced post settings and a post slider with fullscreen images! 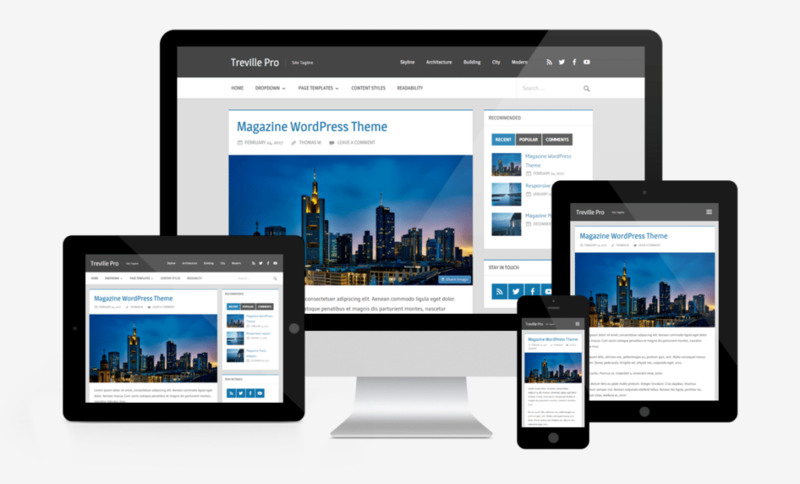 Treville comes with an elegant and fully responsive design which looks great on any screen size. 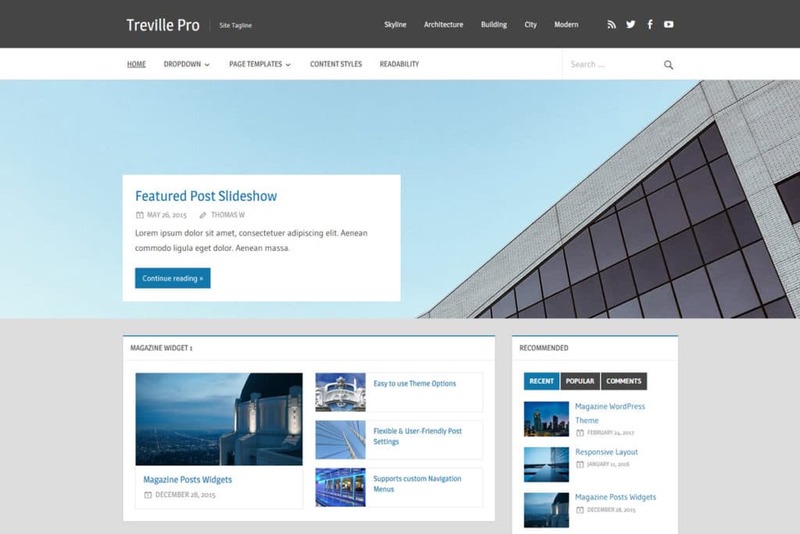 Treville allows you to highlight your most important blog posts in a beautiful post slider. If you need more features check out the Treville Pro add-on plugin. The add-on extends the basic theme with extra magazine widgets, custom color options, typography settings, footer widgets, and additional navigation menus.